Vehicle deffinetly holds record for roll overs with no damage to driver or vehicle. 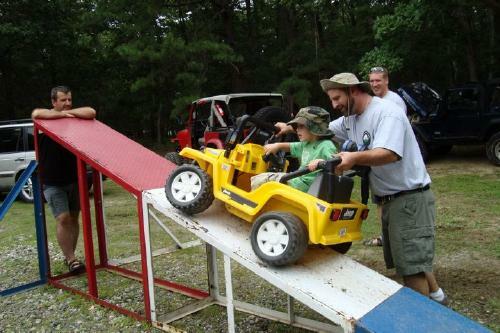 We should all wheel a plastic jeep and Fisher Price has a better warranty then Chrysler. Front Dana 30 with Warn manual hubs and heavy duty axles with 297 joints. 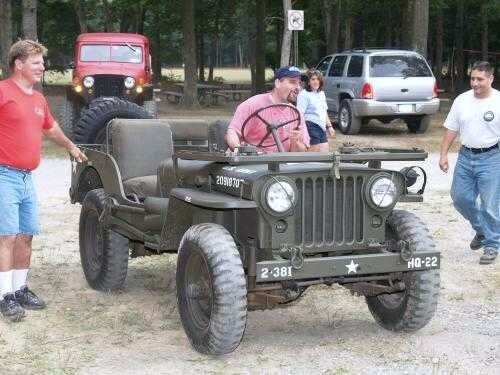 Items of interest: Old man driving old school leaf sprung jeep. Superman is his copilot. Military lift shackles for and aft with additional pintle hook in rear. 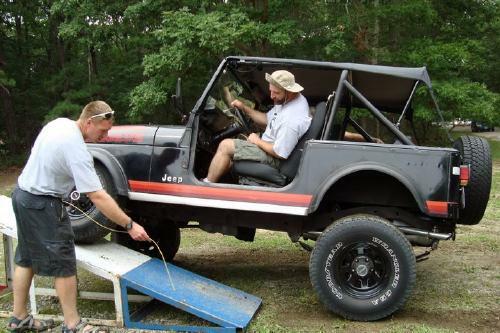 This Jeep and I have been together for 17 years. We have been to Key West and Niagra Falls together. It has wheeled Telico and Kentucky, has rolled 7 times, and believe it or not it gets more attention than a Lamborgini. RTI score is over 1200. 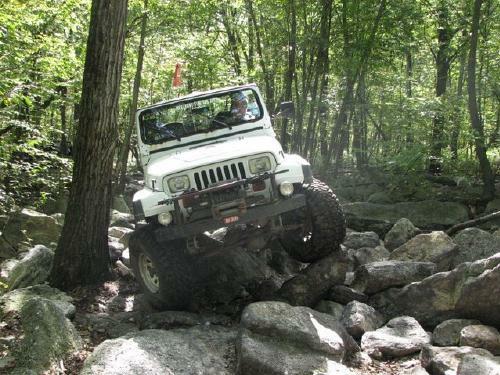 Although it does not have Dana 60's and all the latest and greatest it will still hang with the best of them. Dana 30 front with 297 joints and Lock Right No Slip Locker, 4.56 gears.